That new John Mayer PRS Silver Sky signature model has certainly placed the cat amongst the pigeons – so much so that John himself has addressed the fans and critics directly. The PRS Silver Sky supposedly took two and a half years to develop and John Mayer is very proud of what he and PRS have achieved. On both sides of the Atlantic, however, guitar forums, YouTube channels and ‘guitarists down the pub’ are arguing about the model, with some polarised views on the guitar. The general gist is that some people are berating the guitar as just a Fender Stratocaster with a reverse PRS headstock and bird inlays. If that was the case I’m sure Paul Reed Smith could have made this guitar years ago, so hearing Mr Mayer’s opinion clears up the reasons why and how this guitar came into being. John states that having a direct line of conversation with Paul Reed Smith was a huge part of why he went with PRS in the first place. This makes perfect sense. What artist would not want direct access to the main man designing a guitar? The two spent their time, John says, building the Silver Sky from the ground up taking nothing for granted. Yes, John is familiar with the Strat body shape and so this is where they started, but things took a turn towards rectifying things that he wanted addressing, from the ‘scoop’ at the front and the design of the control knobs. 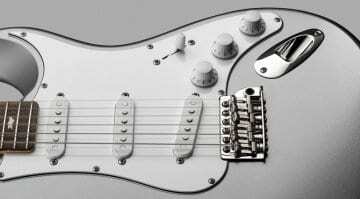 The SIlver Sky is based on John’s favourite early ’60s Stratocasters represents improvements on aspects he thought needed changing. This includes simple things like the finishes on offer, which are based on Tesla car colours (a homage to Leo Fender’s custom car colours of the ’60s). The video is an interesting watch and comes in at around 40-odd minutes long, but stick with it as it covers a lot of bases. You get to hear John play the guitar whilst giving a good overview of the reasons why he decided to work with PRS. 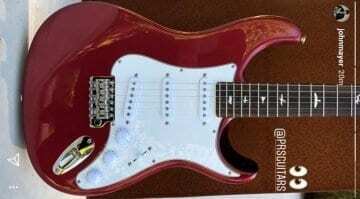 PRS John Mayer Signature Silver Sky model leaked! PRS John Mayer Silver Sky signature guitar – It’s official! Sighted: A new PRS John Mayer Stratocaster! 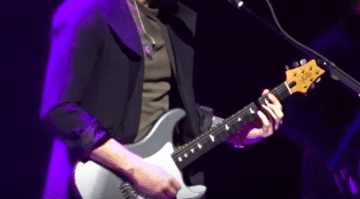 Is the PRS John Mayer ‘Stratocaster’ about to drop? Johns string gauges on the demo? Dude didn’t even have the sense to move the volume knob or just go two knob. What a waste of time. Just get a YJM Strat or an are O’Brien Strat. I mean, instead of ripping off Fender. You don’t have to be sorry for having an opinion. However my friend, it’s obvious that you didn’t watch the video. The very things you feel to be true, were addressed by JM therein. At least watch before expounding. PRS did build a strat, years ago. Research before you make your pro PRS claims. They weren’t really Strats though were they. I’ve played quite a few EG3 models over the years and they are definitely inspired by Leo’s creation though. Plus, they are in my opinion really great guitars in their own right. EG3 and DC3, both great axes! Always be original. Never play a recreation of another guitar players guitar! You owe it to yourself to be yourself! 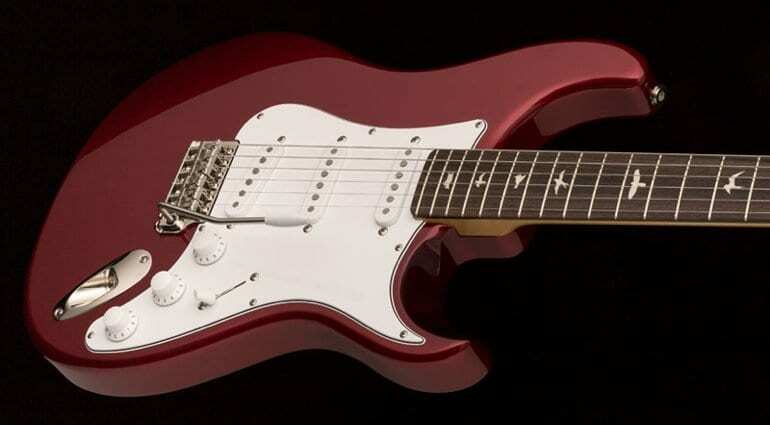 Is it really any better then a Fender or G&L? I am a fender guy through and through I own an American elite and MIJ strat and play often In a bar band, grew up on fender and love them for the history, no question in my mind PRS makes a better product for an ever increasing price. I have many Fenders, Gibsons and PRS that I enjoy, I have collected guitars all my life, I’m 69 years old. 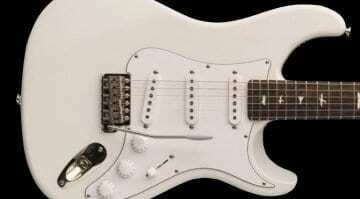 This John Mayer guitar to me is just plain ugly, I would never buy it. Just does not appeal to me at all. Sorry Paul. Hey, if you can play like John, feel free to comment. Otherwise, just be quiet. 23 Apr · You made some good points there. I did a search on the issue and found most people will consent with your site. 22 Apr · Mmmmmmmmm i'm getting a crave. A behringer crave, that is!